Last week, Youth Services Insider reflected on some of the bigger stories in child welfare and juvenile justice for 2016. Now, let’s look ahead. Following are a few things we think will be hot topics in 2017. Rep. Paul Ryan was easily elected Speaker of the House this week. And you have to think that the price of his support for Candidate Trump was endorsement of the Ryan agenda. Ryan’s domestic plans are outlined in broad strokes in his “Better Way” package, a set of domestic goals that would significantly alter the federal government’s approach to assisting in the social safety net. Repeal of Obamacare. You can click here to read our take on what that would mean. This piece of the platform, along with spending bills and the nomination of a Supreme Court justice, will likely dominate the time of Congress and the Trump administration in 2017. 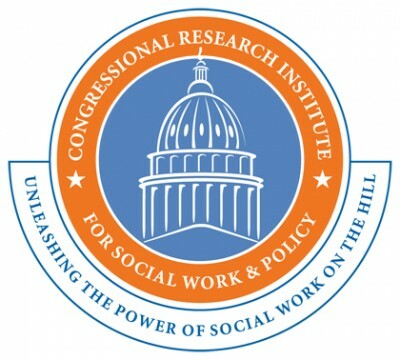 An overhaul of the Temporary Assistance for Needy Families (TANF) program that would make it more difficult to receive a welfare benefit without employment, and reward states and service providers for moving people toward employment (Ryan believes the current system incentivizes those parties to not accomplish this). Reauthorization of the Juvenile Justice and Delinquency Prevention Act (JJDPA), which has languished without an update since 2002. While it is not a plank in the Better Way platform, Ryan also supported the Family First Prevention Services Act last year, which would have altered the IV-E foster care entitlement to permit some spending on substance abuse services, mental health treatment and parenting, while curtailing federal contributions to congregate care placements. The bill whizzed through the House but never made it through the Senate despite several attempts to fast-track it. Our sense is that with other child welfare priorities looming for the Senate Finance Committee, there is no time or energy from the Family First architects – Sens. Ron Wyden (D-Ore.) and Orrin Hatch (R-Utah) – to mount another big push for it this year. So the best case, for those who support it, is Family First’s connection to a broader package of “Better Way” reforms. But the overarching questions here are will Ryan build support for the broad domestic spending reform plan he covets, and will there be room for bipartisan negotiation in moving it? The year 2016 saw different sets of advocacy groups and foundations coalesce around two national policy agendas related to juvenile justice. The Stop Solitary for Kids campaign was amassed to play a short- and long-game approach to curbing the use of solitary confinement on incarcerated juvenile offenders. The short goal: work with some state and local systems to improve policies. The long term: build a case that solitary confinement for youth is unconstitutional. The campaign began shortly after President Obama made a largely symbolic gesture by banning the use of solitary confinement for all juveniles in the federal system. Federal prisons do not house juveniles at all, so that was a directive to the handful of local facilities that house federally convicted juveniles before they turn 18. Also launched with a boost from the Obama administration: A campaign spearheaded by the Annie E. Casey Foundation and the Harvard Kennedy School’s Program in Criminal Justice is calling for closure of all the remaining youth prisons in the United States, meaning large-scale, high-security incarceration facilities. These are relics of an era fueled by fears of super-predators, the campaign argues, doomed to fail in rehabilitating anyone or keeping the public safe. These large facilities should be replaced with more community-based alternatives and smaller, regional facilities focused on youth development strategies, the advocates argue. The campaign was launched at an event hosted by the Justice Department, and the goal of closing such facilities received the open endorsement of a high-ranking Obama Justice official. Campaigns for both movements thought they’d be dealing with a Hillary Clinton White House, where one advocate suggested they could appeal to her remorse over her own involvement in the misled super-predator fears of the 1990s to gain support. Buy-in from the incoming Trump administration on these issues might be an unrealistic goal. If anything, these campaigns might bump up against conflicting messages from the Justice Department. Trump’s nominee for Attorney General, Sen. Jeff Sessions (R-Ala.), has been an enthusiastic supporter of getting tough on juvenile offenders, particularly those who commit violent offenses. He co-authored the Violent and Repeat Juvenile Offenders Act of 1997, which failed to pass, but would have dangled millions in block grant funds to states in exchange for giving prosecutors the discretion to try teenagers in adult court. Meanwhile, the small agency that constitutes virtually the entire federal participation in juvenile justice – the Office of Juvenile Justice and Delinquency Prevention – begins 2017 in a precarious state. The legislation that it was built to execute, JJDPA, has not been reauthorized in more than a decade. House appropriators have zeroed out spending for several years in a row now. And the Obama administration has introduced new proposed rules for JJDPA that will make state compliance far more difficult, a tough sell to states with dwindling funds attached to participation. That all adds up to an extremely vulnerable position for an agency to be under an attorney general who may not see a lot of value in it anyway. The fight to reauthorize JJDPA could morph into the fight to save OJJDP this year. Once Trump’s slate of cabinet nominees is confirmed (or not), the federal leadership for agencies related to youth and families will begin. The Chronicle will track and report on these appointees as they come down the line. Illinois’ child welfare system has been lauded for its efforts to keep families together. Texas has had more success than any state in finding permanency for children through adoption. But both states have struggled with the middle: the quality of services provided to those youth in the foster care system. Illinois Gov. Bruce Rauner (R) brought in George Sheldon, Obama’s top guy on child welfare, to help right the ship. In Texas, the state has pushed hard against falling under the yoke of special masters appointed by a federal court to oversee reforms mandated by that court. In both cases, 2017 will be telling in how two states representing a significant portion of the U.S. foster care population move to address their shortcomings. Among the other places where reform could be on the agenda: New York City and Arizona. Did anyone in youth services get a bigger endorsement than Nurse-Family Partnership (NFP)? Hard to imagine. NFP, one of the most popular national models for putting professionals into the homes of new or expecting moms, was identified as the only program that has demonstrated a clear ability to prevent child abuse and neglect fatalities. And the national organization that oversees the model, led by Roxane White, is in line for a $200 million grant to expand its reach. But the federal investment that helped proliferate NFP and other home-visiting models might be in jeopardy if the Affordable Care Act is repealed. The Maternal, Infant and Early Childhood Home Visiting program was enacted as part of ACA, so a repeal would bring it to an end without further action to support it. MIECHV has narrowly survived thus far past its initial expiration date in the ACA statutes. This might be the program’s make-or-break year. A 2014 law that recalibrated adoption incentives mandated that the Department of Health and Human Services start tracking failed adoptions. HHS has finalized its instructions for states on how to do this, and we should have the first federal tracking ever on how many children enter foster care after a previous finalized adoption. His eight years are up in the White House, so what will President Barack Obama do to bide his Biden-less time? One of his many options will be a major role in criminal justice reform and/or youth development; that role is certainly there if he wants it. In 2013, the president started the My Brother’s Keeper Initiative as a White House project aimed at drumming up philanthropic support to help young African-American men. A year later, it was spun off as a nonprofit. He leaves office with a high approval rating, and with some potential conservative partners. Imagine Obama and the Koch brothers teaming up to push for justice reform? His presence on youth-related issues would go a long way toward keeping those issues on the radar while the Supreme Court, health care and immigration dominate the headlines. By John Kelly This post The Big Questions for Youth Services in 2017 appeared first on The Chronicle of Social Change. The Big Questions for Youth Services in 2017 was originally published @ The Chronicle of Social Change and has been syndicated with permission.